Q. 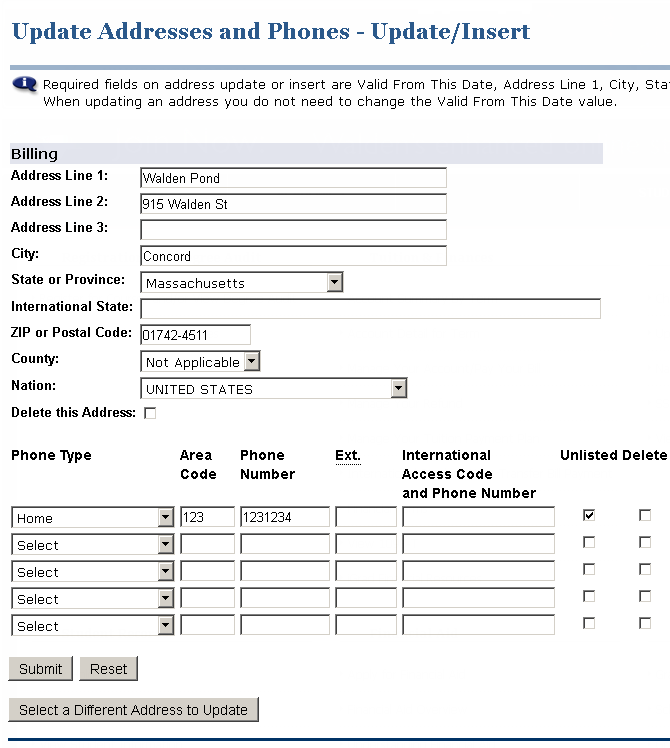 How do I update my shipping or billing address? 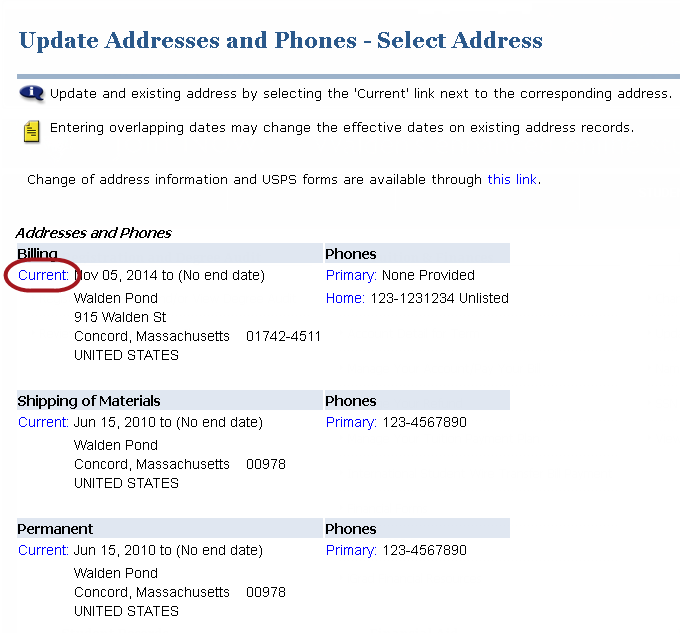 If your address has changed since you joined Walden you can update this information within your myWalden portal following the steps below. Log in to your portal and select “Quick Links” under the "Menu" icon in the top left corner. Here you will select "My Information". A new window will load listing all the addresses Walden has on file for you. On the line with the address you wish to update, click on the blue link that reads "Current". 4. On the page that follows you will be able to make adjustments to your address and phone information. Please remember to hit Submit when you are done making your changes to ensure that the information is saved. For more information about making updates or changes to your student information please see below. How can I change or correct my Social Security Number? How can I change the name on my university records? Do you have other questions about your student information? Contact Customer Care at support@mail.waldenu.edu or 1-800-WALDENU [1-800-925-3368].